The bottles are undeniably beautiful. Voguish with a splash of the exotic, you might be hesitant to put them in the bin once empty and, instead, display them on a shelf or mantelpiece as an arty talking point. That is how exactly the feeling when you see Knut Hansen Dry Gin bottles. 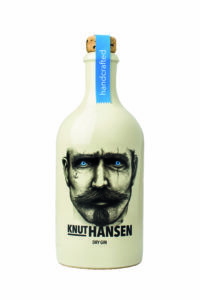 Knut Hansen Gin is from Germany and named after Knut Hansen – a sailor who seemingly had fine facial hair, a selection of tattoos and the most striking baby-blue eyes you’ve ever seen. 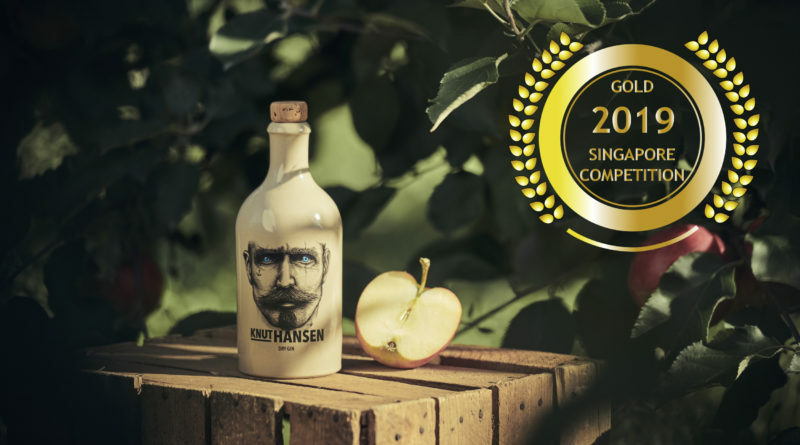 It is also personifies the values of Knut Hansen Dry Gin such as individuality, love of freedom and adventures. But wait there’s more, despite of the bottle incredible unique and outstanding design, Knut Hansen Dry Gin have a very classic taste and and created as a premium gin. 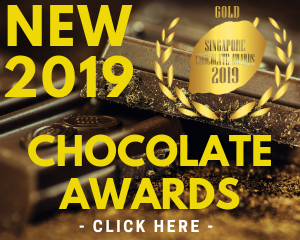 The Aroma is sweet and richly fruit-forward. You get notes of juniper covered cucumber, basil and apple so ripe you can barely pick them up without their juices coming out. To put it simple, its a luscious and absolutely inviting nose. 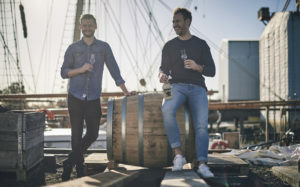 The Knut Hansen Dry Gin was created by two guys from Hamburg, Kaspar & Martin who share similar vision to create a regional product, a nordic-Hanseatic gin with a perceptible taste of juniper and an extraordinary design. Kaspar & Martin shares that “Our gin is manufactured in small batc hes of 750 bottles – each with a lot of love for the little details. 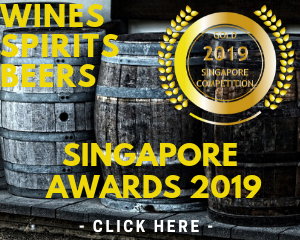 It is distilled four times with a very slow energy addition, in order to preserve the unique taste and the natural aroma of the carefully selected botanicals. Afterwards KNUT HANSEN DRY GIN is manually bottled”. 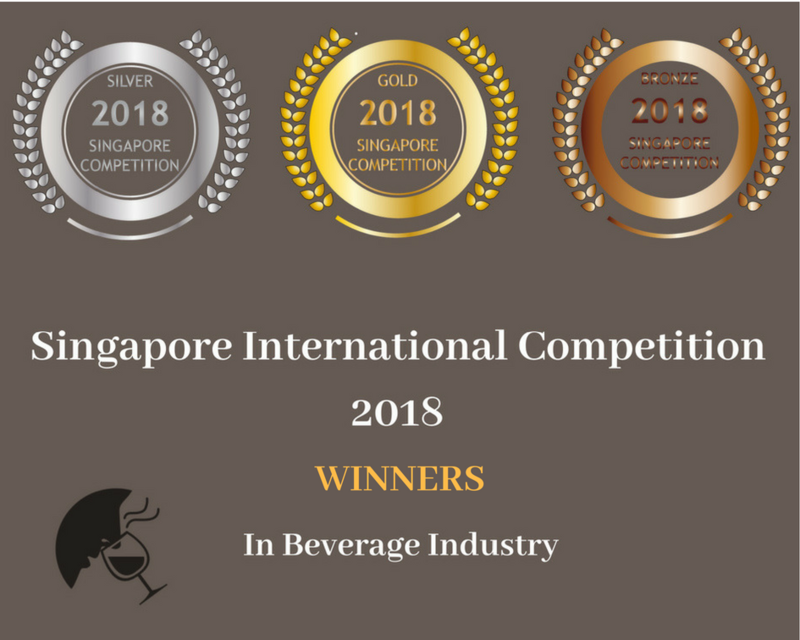 And what makes it even more remarkable is that KNUT HANSEN DRY GIN was recently awarded by Singapore Newspaper with Gold Medal.